After last week’s announcement of Emirates as the newest American Express Membership Rewards transfer partner, and as part of our Emirates Series, TPG contributor Jason Steele discusses how you can earn and redeem your Skywards miles with the airline’s partners. Other posts in the series include: The Basics of Earning and Redeeming, Using Miles To Upgrade, Award Chart Sweet Spots, Elite Status and Good News: Amex Points Transfer to Emirates Instantly. Although Emirates does not belong to one of the three major international airline alliances, it has aggressively pursued partnerships with airlines and other businesses around the world, and Skywards members can both earn and redeem miles with many of them. Emirates Skywards miles can be earned from and redeemed on travel from nine partner airlines (Skywards miles can only be redeemed on easyJet, not earned). These include Alaska, JAL, Jet, JetBlue, Korean Air, Qantas, South African Airways, TAP Portugal, and Virgin America. The miles earned depends on the class of service flown, and the miles accrued on partners do not count towards tier status. Unfortunately, discounted economy tickets appear to earn less than one mile per mile flown. For instance, discounted economy tickets on Alaska only earn 0.5 miles per mile flown, refundable/Flex economy earns 1 mile and first class earns 1.5 miles. Whereas with Qantas, you earn 0.5 miles for discount economy, 1 mile for full-fare economy, 1.1 miles for premium economy, 1.25 miles for business and 1.5 miles for first class. You must click on the airline partner to find out what the earning ratios are. Redeeming Skywards miles may not be as easy as it seems. To spend your Miles on a reward with participating partners, including partner airlines, please fill in the relevant online reward request form. When you have submitted the form, your nearest Emirates Contact Centre will get in touch with you to confirm the details. Please allow a maximum of seven working days for the request to be processed, although we will do our best to get back to you within 24 hours. When searching forums, I found many frustrated posts written by people who have attempted to redeem Skywards miles for partner award flights, yet I found very few accounts of people who successfully booked these awards…read: not looking hopeful. Complaints commonly mentioned partner award request forms that went unanswered, telephone agents that were unable to book available awards, and others that maintained that no partner awards were available. Furthermore, Emirates only publishes an award chart for its codeshare partner Qantas, but it does not do so for other airlines. Other than calling and asking about a specific route on a specific partner, the best indication of what an award might cost is their airline partner table that happens lists the minimum number of miles necessary to redeem an award, which ranges from 10,000 to 25,000 depending on the airline. Fortunately, one-way awards are available and a single stopover is permitted on roundtrip partner awards. And finally, without any Skywards miles in your account, you don’t even have access to the request form. Therefore, I would not transfer any miles from the Starwood Preferred Guest or the American Express Membership Rewards program for a partner award, until I had some confirmation that the award is available, and the number of miles required. Car rentals: Avis and Budget offer 500 Skywards miles per rental and discounts for Skywards members, though to earn miles with Budget, you do have to rent specialty vehicles like sports cars. Dollar and Hertz offer 1,000 miles per rental, and Sixt offers 2,000 miles and discounts on cards and services. Avis, Hertz and Sixt also offer discounts to Skywards members based on their Tier. Skywards miles can only be redeemed for Budget car rental vouchers at the rate of 5,000 miles for 50 AED ($13.50), 8,000 miles for 100 AED ($27) and 39,000 miles for 500 AED ($135). 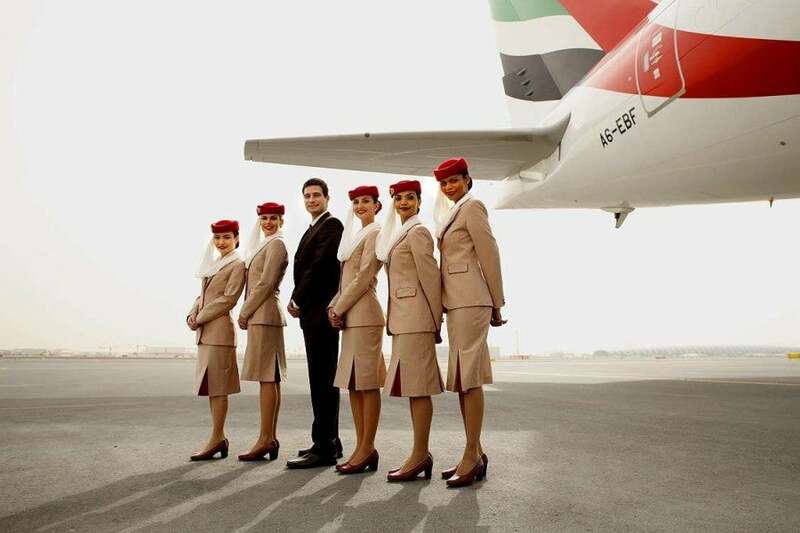 Hotels: Many hotels offer Emirates miles for paid stays. including Starwood, Hyatt, IHG, Hilton, Fairmont, Marriott and several foreign brands such as Crown Hotels and Shangri-La. For instance, at Hyatt, you can earn 500 miles per eligible stay, and at Starwood, you can earn 2 miles per $1 spent (3 miles for elite members). Skywards miles can be redeemed at specific Marriott hotels in the Middle East for between 22,000-32,000 points per night, as well as the Le Meridien Dubai and the Emirates Wolgan Valley Resort & Spa (65,000 miles per night in a Heritage Suite). Retail: Several tourist attractions in Dubai offer miles, such as the Ski Dubai indoor ski slope and the Wild Wadi Water Park. You can see the full list here. But for instance, you earn up to 500 miles per excursion with Arabian Adventure, and you can redeem Skywards miles for Ski Dubai vouchers at the rate of 5,000 miles for 50 AED ($13.50), 8,000 miles for 100 AED ($27) and 39,000 miles for 500 AED ($135). Banks: At this time, no American bank offers an Emirates Skywards credit card, although several foreign banks do, such as MBNA UK and Citibank Australia. You can see the full list here. 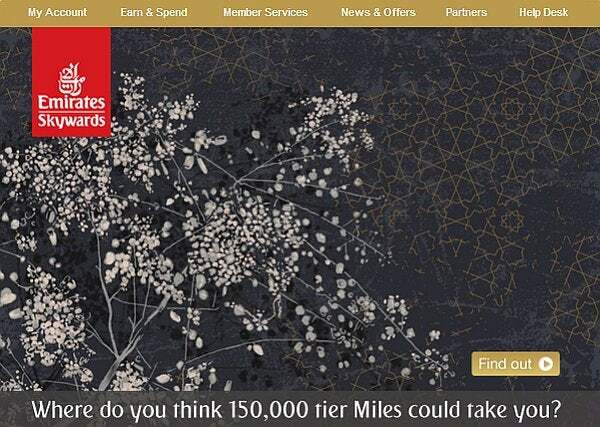 Emirates has an impressive list of partners, but has a long way to go before travelers can confidently transfer their credit card points to Skywards miles, for use on partner awards. Nevertheless, those with a pre-existing Skywards mileage balance should can consider making a request to redeem their Skywards miles on one of their many partners.